Here at Living Ponds, we are commited to giving our customers the best value through great products at great prices, supported by great advice. Items must be in stock at the competitors store at time of purchase! Also the price promise does not apply to clearance lines, ebay, Gumtree, and non-shop outlet webstores and "backyarders" etc. Proof of purchase price must be produced at time of purchase and must be the same product, including any delivery charges or warranties. The Management at Living Ponds reserves the right to refuse a transaction at any time. We at Living Ponds deliver products Australia wide using Australia Post. Shipping costs are influenced by the size and weight of the product and your location. exact shipping costs are calculated within the shopping cart and will be added to the order total before checkout. Orders are dispatched whithin 2 business days and shipping times are estimated at between 3-7 business days depending on your location within Australia. 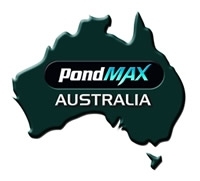 The Living Ponds company only ships goods Australia wide at this point in time. For any internation orders please contact us on +61 8 9470 6977 to enquire about a special order. Firstly- to process your order. We will not email you in the future unless you have given us your consent or pass your e-mail to other trusted traders. We do not send random marketing emails to personal email addresses (spam). The type of information we will collect about you includes: name, address, phone number, email address, credit/debit card details. We will never collect sensitive information about you without your explicit consent and the information we have will be accurate and up to date. You can check the information that we have about you by emailing us. If you find any inaccuracies please let us know and we will delete or correct it for you. We may use technology to track the patters of behaviour of visitors to our site. This can include using a "cookie" which would be stored on your browser. You can usually modify your browser to prevent this happening. The Information collected in this way can be used to identify you unless you modify your browser settings. Security capabilities and policy for transmission of card details. Example of "Basic SSL Statement" - "This website supports Secure Socket Layers of 128bit and greater." Please choose carefully. We do not normally give refunds if you simply change your mind or make a wrong decision. You can choose between a refund, exchange or credit where goods are faulty, have been wrongly described, are different to the product purchased on the website or doesn't perform. Returns- Please call or email us at the store to advise us of any product issues. We will detail our return procedure to you, once we have analysed the problem/issue. You can place an order by filling in the online order form on the Living Ponds website and clicking the "Add to Cart" button. We will issue you with an Order Number by email after we have recieved your offer to purchase. We will notift you when we process your order by sending you an Order Confirmation and tax invoice via email. In order to prevent credit card or payment fraud your offer can only be accepted by us after it has passed our validation procedures. If for any reason we cannot process or accept your order after payment is received, we will contact you by telephone or email to determine your requirements for the reimbursement of money paid. 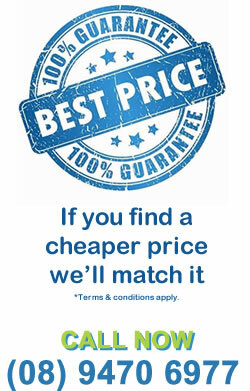 All prices quoted are in Australian Dollars and include GST. The price does not include postage/delivery charges. We accept payment through Direct Deposit, credit cards (VISA and Mastercard) and Paypal. All goods require full payment before they leave the store. When you need to follow or look up a new or existing order, all you need to do is log in to your account which is at the top right of the website and you will see new and past order etc.